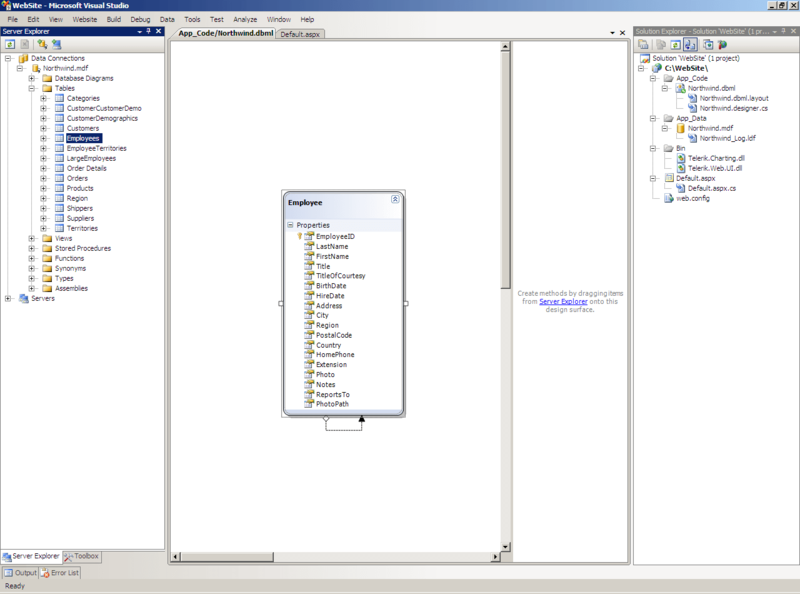 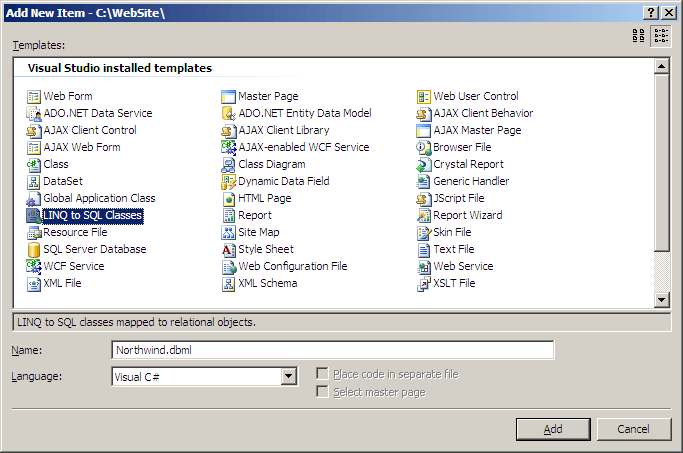 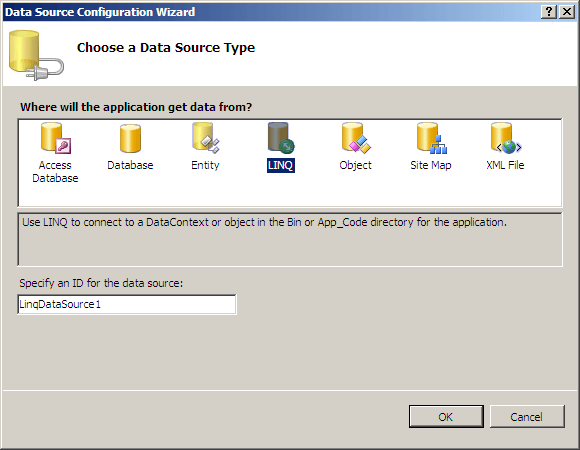 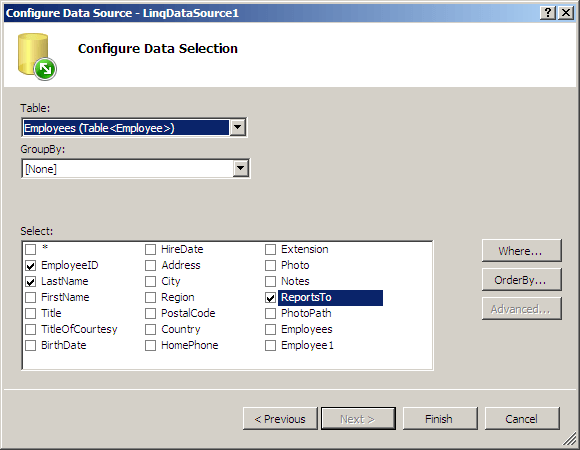 Create a new Web Site in Visual Studio and copy the Northwind.mdf database in your App_Data folder. 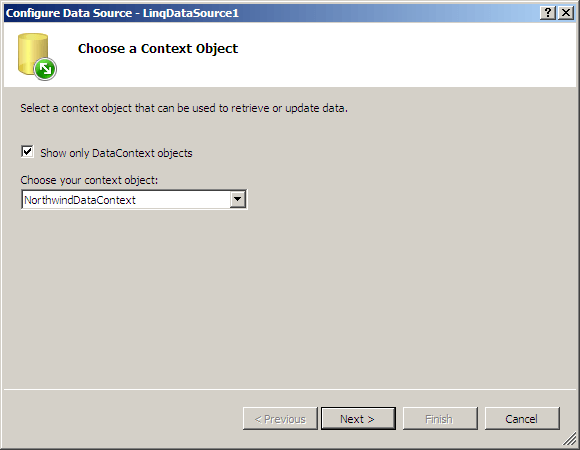 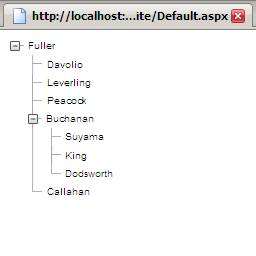 Open Default.aspx in design mode and drag a new RadTreeView instance. 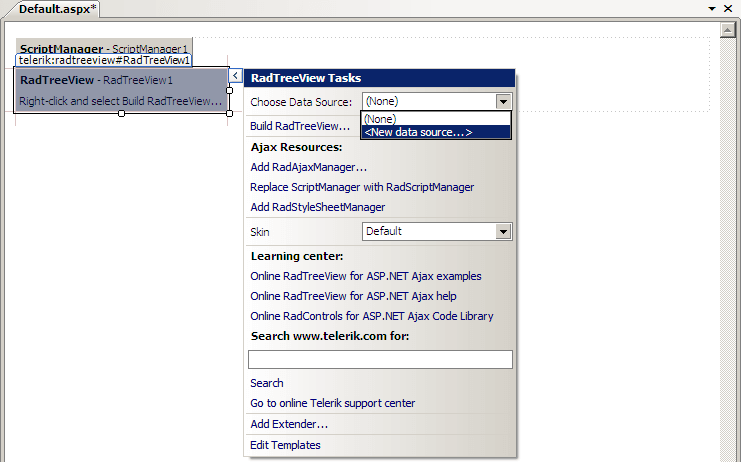 Click "Finish" and open the RadTreeView smart tag to complete the configuration.